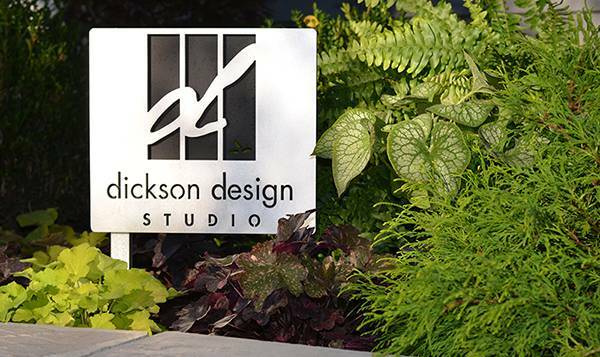 Dickson Design Studio, Inc. is a talented landscape architectural firm that addresses all phases of design, from shaping ideas to directing implementation. Our design work encompasses residential gardens, commercial and industrial landscapes, large-scale master communities, entrance enhancements, guidance on design, budget, and site visibility and so much more! The Studio is woman-owned, priding itself in delivering unique, high-quality designs from an experienced source. Sharon, the owner, graduated from the University of Illinois at Urbana-Champaign with a bachelor of landscape architecture degree. She is a licensed landscape architect in the States of Illinois, Indiana, and Wisconsin. 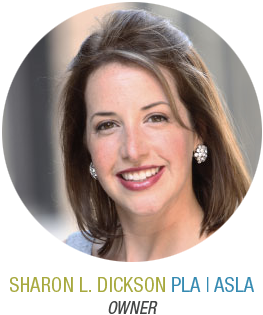 An active member of the Illinois Chapter of American Society of Landscape Architects (ILASLA) and community volunteer, Sharon demonstrates commitment and appreciation for the profession. Sharon resides in a northwest suburb of Chicago with her husband and children.